Several stretches of the Camino de Santiago lead walkers over the passes of the Pyrenees into the old kingdom of Navarre. 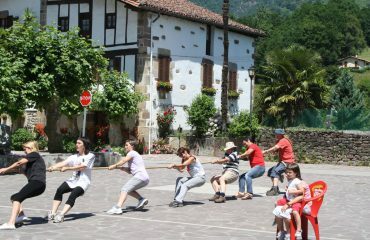 The most popular and commercialised crossing point is the Camino Francés which leads pilgrims from St. Jean Pied-de-Port over the mountain pass of Ibañeta (1066 m) into Roncesvalles and on to Santiago de Compostela. However, although the best known, this is not the oldest crossing point of the Camino de Santiago. 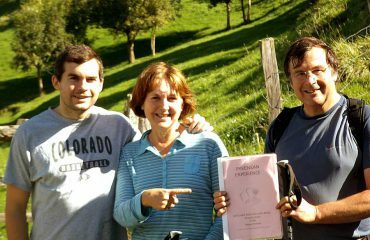 This accolade goes to the Camino Baztanés which, for the past 1000 years, has led pilgrims from Bayonne to the monastery in Urdax and then over the far easier and lower mountain pass of Otxondo (a mere 632 metres and the most western of all the Pyrenean crossings). 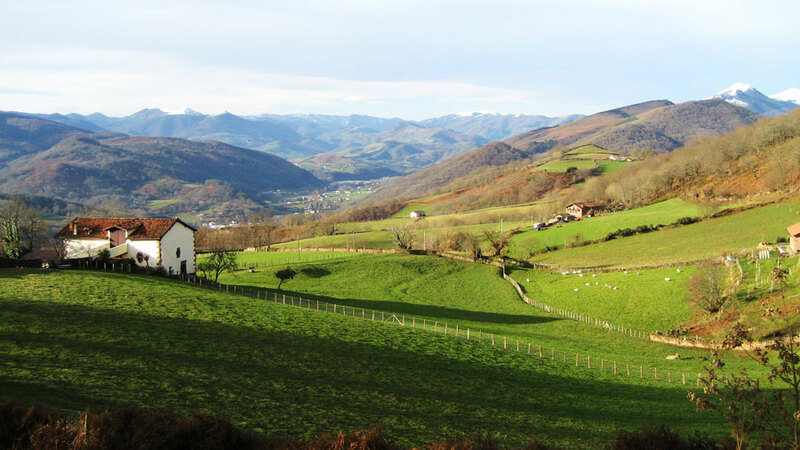 The route from Otxondo then sweeps down through the green, verdant Basque lands of the Baztan River – which today offers hikers a wonderful portfolio of Baztan Valley walks . In those days, the Camino was hugely instrumental in the development of the towns along its way – and for many towns their real ‘raison d’etre’. 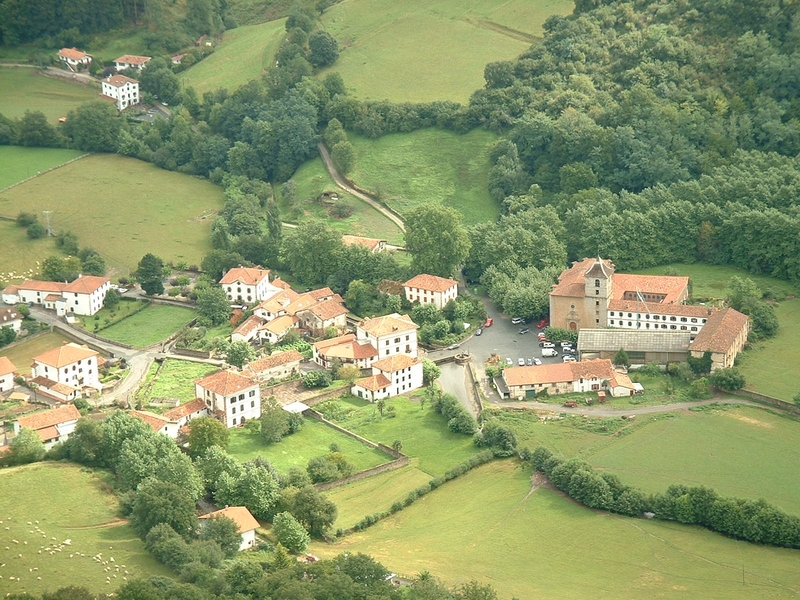 An example of this is the beautiful village of Urdax, nestling at the foot of the Pyrenees, and boasting the impressive 10th century monastery of San Salvador Urdax, which was run as a hospital for pilgrims by the Augustine canons. The monastery’s wealth was very much linked to the activity of the blacksmiths in the village but, like so many of the towns developed along the camino, lodging houses, traders and horse farriers (as well as pickpockets and prostitutes!) would all have eked out a living from the stream of pilgrims passing through the town. 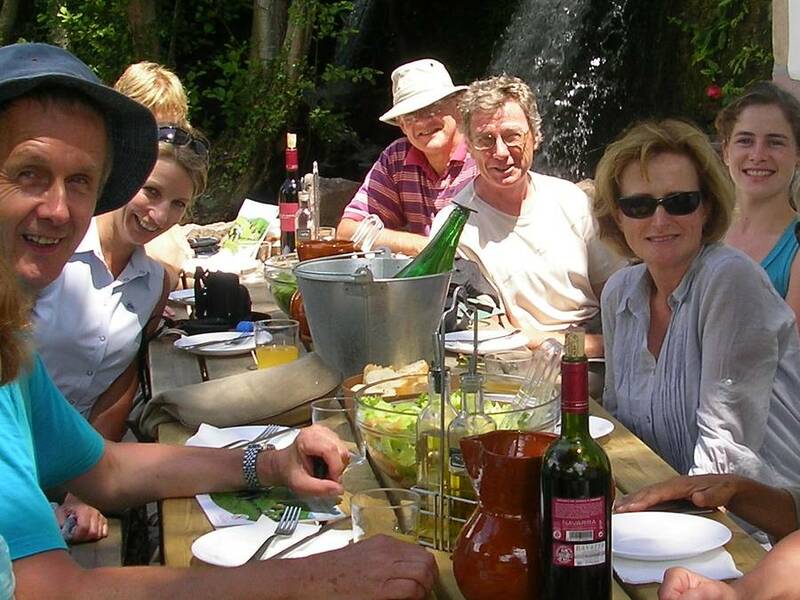 Today visitors to the village could do little better than staying at José Miguel´s magnificent country guest house, Irigoienea, and popping into town to meet Montxo, a charismatic character who makes the best pintxos in the valley! After Urdax, the Camino de Santiago climbs up to the pass of Otxondo before dipping down to the historical village of Amaiur in the kingdom of Navarra, whose presence was first felt on the pocket when pilgrims paid their taxes to the castle guards at the town´s entrance. Amaiur (or Maya) has a special name in Basque hearts as it was here that the last 200 defenders of the Kingdom of Navarre´s independence fought their final battle. Exhausted and starving they finally surrendered to the troops of Castile on the 19th July 1522 … and the kingdom of Navarre came to its end. As you enter the village behind the chapel on the Camino de Santiago you will find the ruins of the castle and its ramparts high up on your right, together with a memorial plaque to the soldiers who died there. Walking through this historic and bucolic mountain village, look at the many engravings on the fountains which represent the passing pilgrims with their cape, stick and clam shell (the universal symbol of the Camino) – and if you are feeling particularly footsore do note the rough foot towel left at the final fountain on the way out of town. If you look up at the arch on the south side of town you will see a statue of a virgin who has been worshipped ever since the time of the black death in the 17th century. Although the plague was said to have killed about 80% of the local population some miracle seemed to save every inhabitant living within the village walls. As you pass the arch, look back to see a mysterious and inexplicable stain on the stones which seemingly emanates from the very back of the virgin herself. At the end of the village you will also see the church, constructed with stones left over from the ruins of the castle, and to the right of the church is a delightful working water mill. If it is open do go in and say hello to the miller, Felipe, (see video) as on certain days he will serve you traditional Basque corn bread talos with local sausage and cheese, downed with tumblers of fresh Baztan cider. 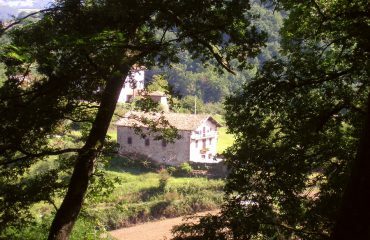 And, if your feet (or the cider), get the better of you he has a charming two bedroom apartment to rent right above the mill in Amaiur in the Baztan Valley.